Photo credit: Roger Surdahl. On stage at the Vail Symposium. In the wake of the summit, work has continued apace on planning an I-70 overpass in Colorado. Stakeholder agencies finalized the site selection criteria earlier this year and the feedback has been overwhelmingly positive. After site visits, the Colorado Department of Transportation (CDOT) will prioritize potential sites by Fall 2012. CDOT has also given ARC Solutions the green light to work with agency personnel to develop a public-private partnership plan aimed at raising the funds to build the I-70 crossing. On January 24-26, Steve Albert, Director, Western Transportation Institute at Montana State University, presented an ARC Solutions’ display at the America’s Summit on National Parks in Washington, D.C. The Summit was well attended by senior officials from the U.S. Department of Interior and the National Park Service, and the ARC display elicited a lot of traffic. On January 24, Steve, along with Roger Surdahl, Technology Delivery Engineer, Federal Highway Administration, Alexandra Christy, Executive Director, Woodcock Foundation, and Jeremy Guth, Trustee, Woodcock Foundation, met with Robert Bonnie, Climate Change Advisor to Secretary Vilasack of the U.S. Department of Agriculture, to discuss ways in which ARC and USDA might collaborate. ARC’s Technology Transfer initiative has been busy working on outreach to transportation professionals. 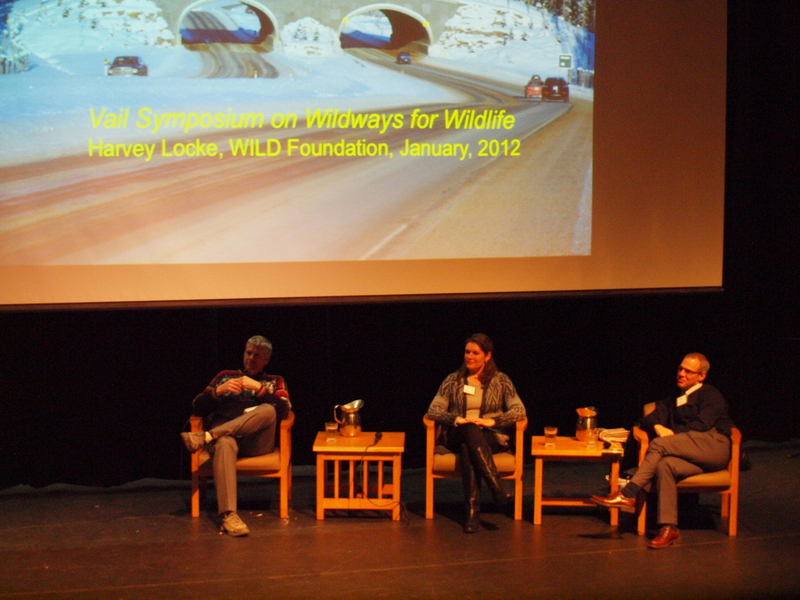 Angela Kociolek, Research Scientist, Western Transportation Institute (WTI), is currently developing a survey to better understand DOT culture towards wildlife crossing infrastructure. Rob Ament, Road Ecology Program Manager, WTI, is working with others at Montana State University to prepare a Federal Highways Administration IDEAS grant to use computer modeling to “test” the winning ARC Competition wildlife crossing design submitted by HNTB with Michael Van Valkenburgh & Associates. Wyoming Public Radio interviewed Tony Clevenger, Wildlife Scientist, WTI, and ARC Founder, for an “Open Spaces” segment (at 26:00) on pronghorn migration, highways, and wildlife crossings. The finalist models from the ARC Competition are currently being featured at an exhibit on “Yellowstone to Yukon: The Journey of Wildlife and Art” at the Whyte Museum in Banff until November 15, 2012! Harvey Locke is curating the models, which are “nested” within the larger wildlife art exhibit. Over 4 million people visit Banff each summer, and ARC estimates that the models will be viewed by close to 50,000 visitors – the greatest number yet! “We spend $8 billion a year running over wildlife.